Hantavirus has been around for a long, long time, it is endemic in South-east Asia but was first discovered in the western world in 1993, in New Mexico. A dozen healthy individuals of the Navajo Nation, in the Four Corners area, developed respiratory problems and died. Their deaths were attributed to adult respiratory distress syndrome (ARDS). Investigations began immediately into what could have caused a dozen people, with no underlying problems, to keel over and die. The researchers found a previously unknown virus, Sin Nombre Virus (SNV) in the environment, and the twelve deceased were found to be carrying the virus. They found that Deer mice were vectors, carriers of this virus, further studies showed that all rodents can be carriers of SNV. Warm weather had allowed more than the usual amount of vegetation to grow, and the rodent population had exploded, New Mexico had experienced a 10 fold increase in rodents that year, by the start of 1994 there had been 55 cases resulting in 32 deaths. The term Hantavirus Pulmonary Syndrome (HPS) was used to describe the disease. Three more strains of the virus were subsequently discovered, New York 1 virus, Black Creek Canal virus and Bayou virus. Hantavirus is a zoonotic disease, it crosses from animals to humans. It is carried by rodents, but Deer mice seem to be infected to a higher degree than many other mice and rats. 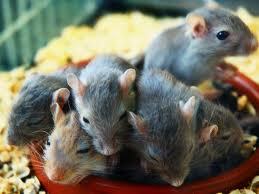 The rodents themselves are asymptomatic, they show no signs of disease and are not sickened by carrying the virus. Hantavirus is considered not to be spread by person to person contact, but studies of an outbreak in Argentina in 1996, indicated it is possible, but the chances of it occurring are very,very slight. The vast majority of people who contract Hantavirus do so in their own homes and gardens. The infection is caused by the victim inhaling particles of dried urine and faeces from infected animals. The clearing of nests, droppings and dead rodents are the usual cause of infection, the ingestion of contaminated food is the second most likely cause, and rodent bite, as it can be carried in the saliva of infected animals is third. The disturbance of infected nests, faeces etc aerosolizes the minute virus particles and as a result they are inhaled. Symptoms will first appear 5-21 days after exposure. Fever, fatigue and muscle pain, particularly in the shoulders and thighs, followed by chills, nausea, diarrhoea and vomiting. 3-5 days after this the cardio-pulmonary phase begins. This is marked by shortness of breath as the lungs start to fill with fluid. If not treated at this point the disease will progress rapidly, usually within 24 hours the shortness of breath will turn into acute respiratory distress. Breathing will become increasingly difficult until it is impossible without ventilatory support. The heart rate will have dropped markedly and will continue to decrease in pace and force until the patient has negligible output and circulation ceases. This is a direct response to the lungs filling with fluid, the heart is reacting in the way it would with any other drowning. First and foremost reduce contact with rodents, take all measures possible to keep them out of your home, tool shed garage, a holiday home, bug out retreat, woodpile and anywhere else you frequent. Keep rubbish bins well sealed, and excess rubbish as far away from dwellings as is possible. Build yourself a hanta kit containing, goggles, HEPA mask (high efficiency particulate air), thick rubber gloves, a second pair of gloves, latex or washing up type, rubber boots and disposable overalls with a hood, an old shirt and trousers that you can afford to lose and 2 plant sprays. DO NOT sweep, shake rugs or vacuum in areas you suspect may have nests or droppings. Open all windows and doors and leave the place to air for at least an hour. Make up several buckets containing a minimum 10% bleach solution, put on your protective gear before going anywhere near the area. Fill a plant spray from one of the buckets and spray the area you are cleaning from the top down. Remove items from the shelves and wipe with a bleach cloth, set each item aside as you go. Use a towel or cloth wet with the bleach water and wipe the shelf down, making sure you wipe the edges as well as the flat surfaces. Rinse your cloth often in the bleach water. When you get to the floor, use a shovel to remove nests, soil, paper etc, all of which should be soaked in bleach water. Put into two thick rubbish bags. When solid matter is removed, carefully wash or mop the floor, disposing of the mop head and cloths into the waste bag as you finish with them. Wash your gloved hands in bleach water, wash you boots in bleached water and lightly spray your overalls with bleached water from the plant spray, empty any liquid left in the spray and put the plant spray in the rubbish bag. Still wearing the goggles, mask and gloves, remove your boots and set aside. Take off the overalls and put into the bag,wash your gloved hands again in bleached water. Using a fresh cloth, wet it in bleached water, wring out and wipe the front of the goggles and the mask, do this twice, rinsing the cloth in between. Rinse your gloved hands in bleached water, shake to remove excess and remove goggles, dropping them into the bleach water bucket. Take a deep breath and hold it, remove your mask before releasing your breath. Dispose of the mask into the bag. Tie bag up immediately. Remove the top layer of your clothes and put them into a plastic bag, hold you breath whilst taking anything over your head. Washed your gloved hands one last time but this time let the bleach solution go over the cuff of the gloves saturating the insides. remove these gloves underwater and dispose of them into the sack. Tie the sack immediately. Take the unused plant spray, filled with bleached water and spray the outside of both plastic waste bags. Pull on a second pair of gloves, place both waste bags into a large thick plastic sack and tie up. Wash your gloved hands in the bleached water, removing the gloves whilst they are submerged. These gloves can go into a small bag and be disposed of in the household waste. Go inside and wash, bath or shower, paying particular attention to your hair. The waste bag should be buried deeply, or burned when the contents have dried out. It is far, far easier to be vigilant with pest control, but if for example, you are going to a cabin that has been unused for some time, or are cleaning out the furthest corners of the garage, you would be well advised not to cut corners if you find evidence of rodents. If you are using a building that has not been used for a while even if it has no evidence of infestation or nests it would still be advisable to wipe all surfaces with bleached water before using them for food preparation. Hantavirus is indiscriminate, and in situations that would see a proliferation of the rodent population, for example a breakdown of services which allows rubbish to build up, Hantavirus Pulmonary Syndrome will likely become increasingly common.